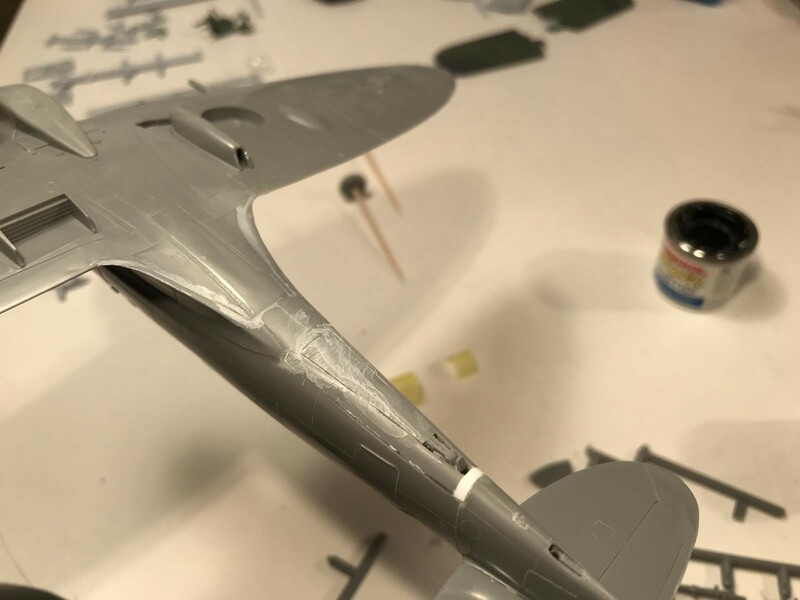 This is something I’ve been working on part time over the past year while waiting for things to dry, set, etc…on other projects. It’s a Hasegawa limited edition kit that I picked up awhile back. 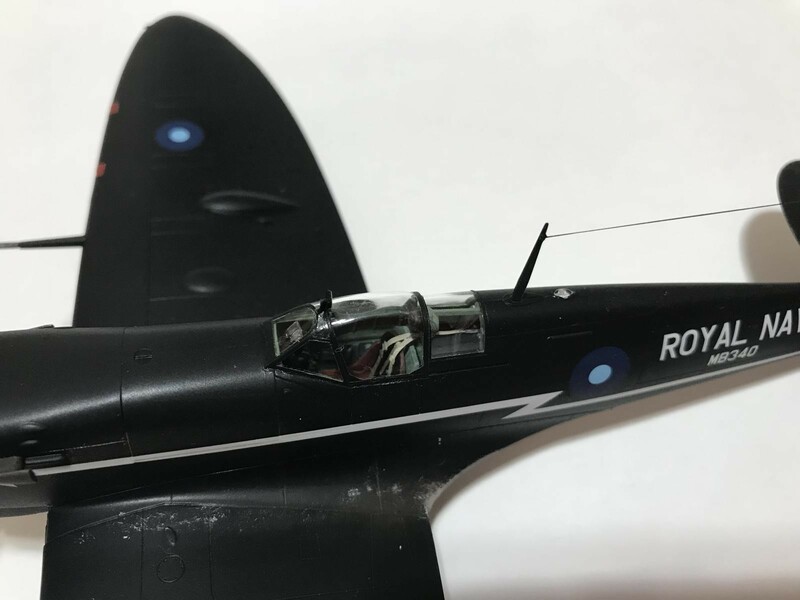 Basically, it’s their Spitfire Vb kit with resin arrestor gear parts and Seafire decals. 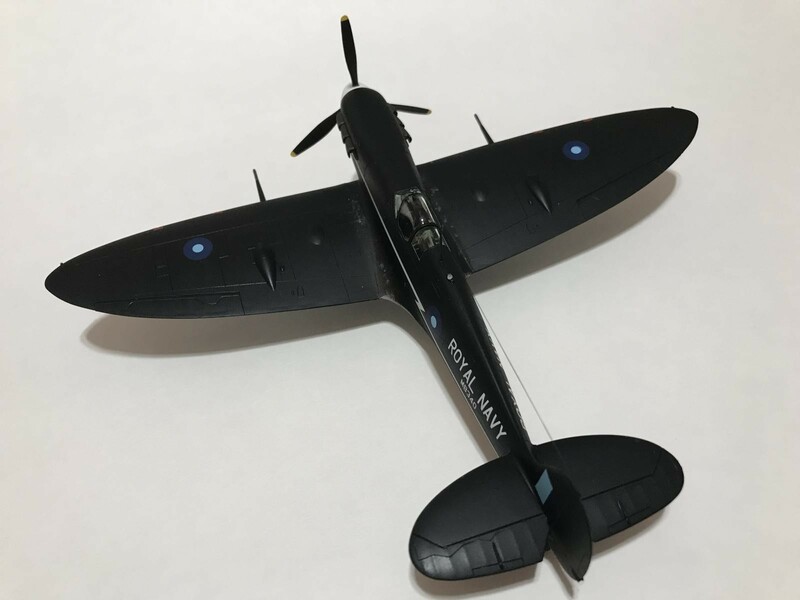 So, just like a real Seafire Ib, you modify a Spitfire to build it. I was disappointed to find that my resin tail hook was deformed enough that it wouldn’t look good deployed. I built it retracted and filled and sanded it til smooth. The only thing I added to the model was a set of Eduard seatbelts. It’s finished with Humbrol enamels and a light blast of Testors dullcoat. 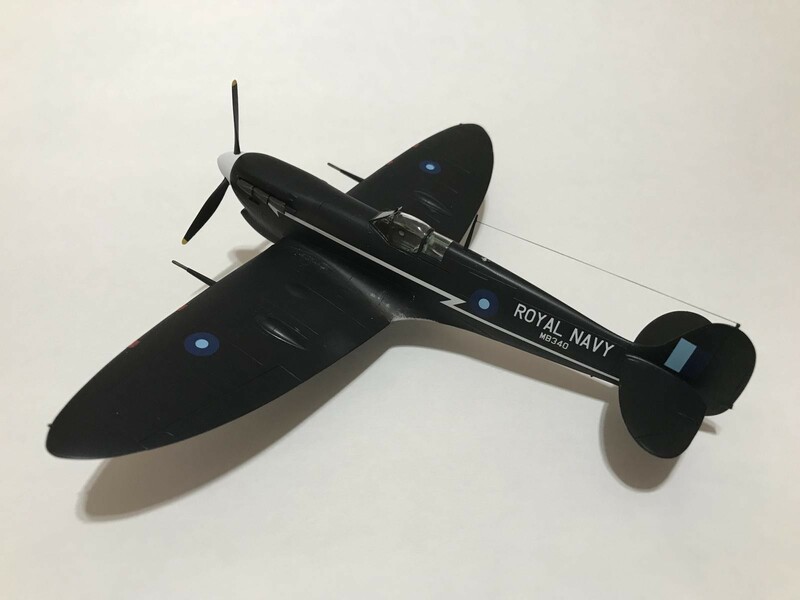 One neat surprise was that the kit comes with decals to do the race car driver Duncan Hamilton’s Seafire that he flew at Port Reitz, Kenya in 1944. This is the option I chose. 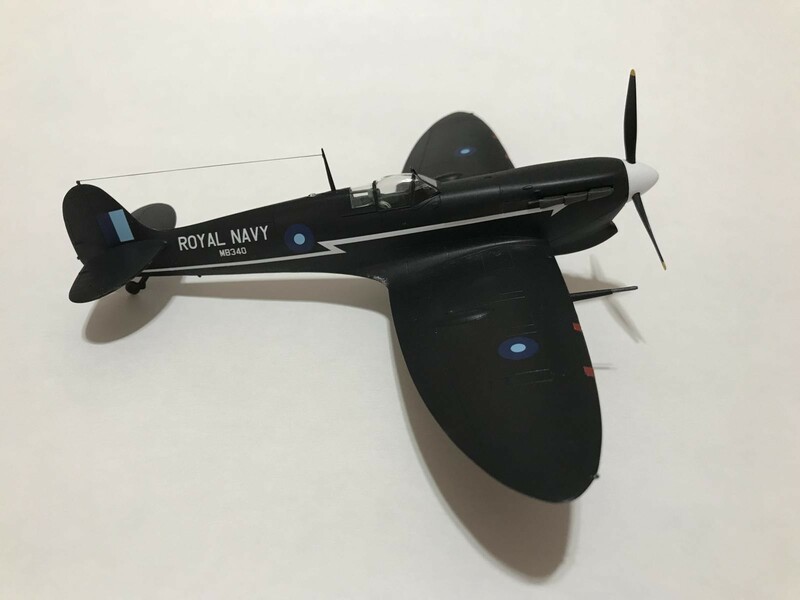 Hasegawa would have you paint it dark blue but according to evidence presented on a thread over at Britmodeller, Hamilton’s wife confirmed the plane was black. So black it was! You had me at ‘Seafire’, Jim. 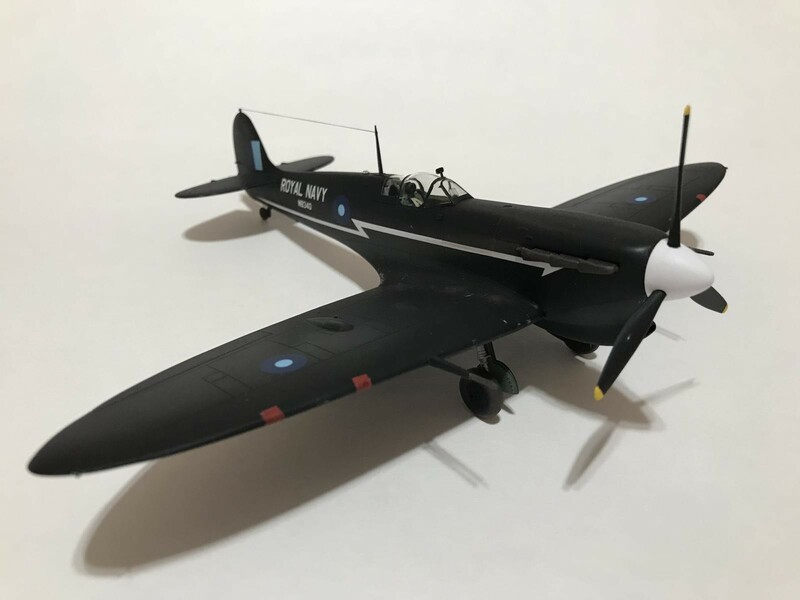 Lovely build and the black really accentuates the beautiful curves and that instantly recognisable dihedral. Great work on an unusual Spitire. Thanks, David. It adds some color to my Spitfire/Seafire shelves. Beautifully done!! I’ve always liked the blue RN roundels. 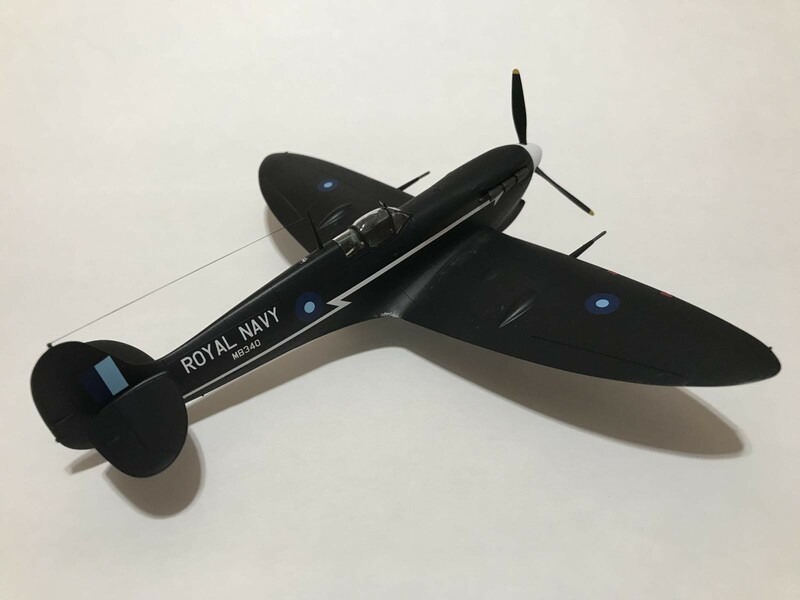 The Special Hobby kit is a Seafire IIILF, different animal with an uprated Merlin and folding wings. 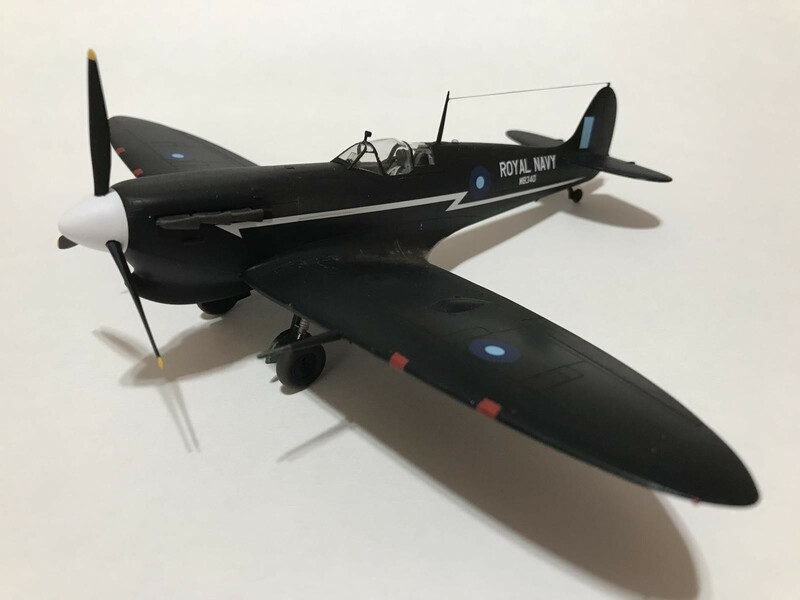 The SH kit is based on the Tamiya Mk. V and is a poor replica. 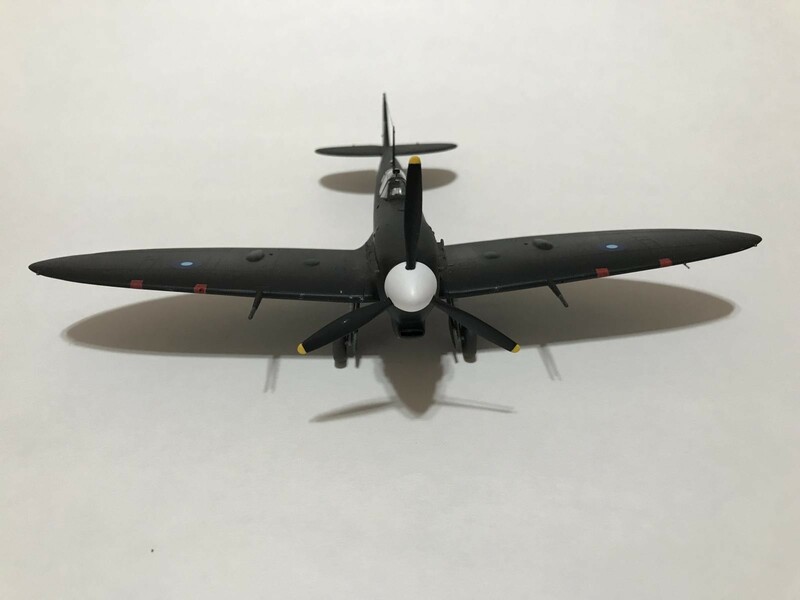 We really need a new tool Seafire III. Nice to see your work as always ! Thanks, Greg. It’s something a little different. Very well done, John. I think ‘black’ is a difficult colour scheme and you have nailed it!